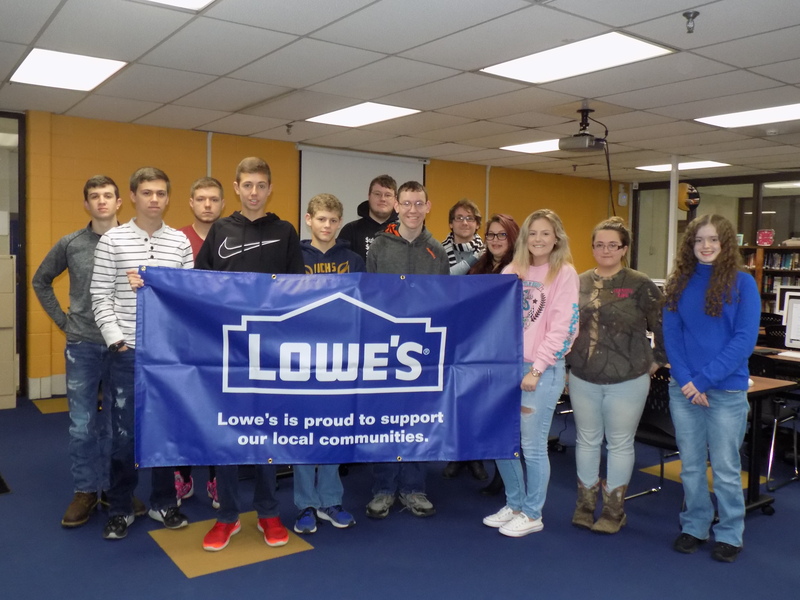 On May 23rd, 2017, the NCHS Media Center received a check for $25,001.94 from the Lowe’s Toolbox for Education Grant to update technology and furniture. The updated media center now includes 28 new HP computers, a new laser printer, new power strips, new tables and chairs, a new digital camera, and 30 new headphones. Mrs. Murphy applied for the grant in January 2017, and she worked mostly with Heidi Mowery from our Summersville Lowe’s. Initially, Ms. Mowery informed Mrs. Knight, NCHS counselor, of the grant, and Mrs. Knight passed the information onto Mrs. Murphy. The media center is now awaiting a shipment of printer ink, and then Mrs. Murphy will complete will the final report for the grant.